Shimmering silver barrel contrast with black trim for a bold statement. Ribbed rubber grip for writing comfort. Black Hybrid ink. 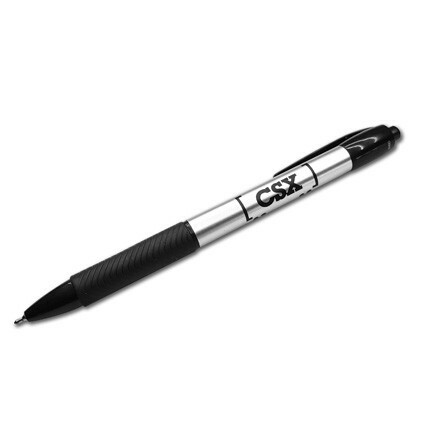 Black/Silver with black CSX Railcar logo.